I n north Spokane, just a bit past the city limits, resides some excellent college football. Sure, the Whitworth Pirates always put out a competitive team, but it's among these pine trees of the small liberal arts school that you'll find — capitalization intended — excellent College Football. Not to wax too poetic, but while most college games in the area require a regrettable chunk of your paycheck, your day and your stamina just to attend, Whitworth serves as a throwback to simpler, easier and much more convenient times. A $20 bill will get a family of four into the Pine Bowl, home to the only natural grass playing surface for any local college. The place seats about 2,200 in the stands, but the grass hillsides can accommodate a few hundred more. "We get quite a bit of spillover to the grass on the side of the grandstands for kids to be kids. We also have the bouncy castle, of course," says Whitworth assistant athletic director Steve Flegel. The Pine Bowl isn't equipped with lights, so you won't be treated to the sort of late-night kickoffs that have become annoyingly commonplace down in Pullman. For Whitworth, day games make for a different football environment. "We play all our games in the afternoon, so for some people that's challenging, but that's also why we get more of the family crowds," Flegel says. This year, the Pirates, coached by Rod Sandberg, a veteran of Division III football who has continued his success in Spokane, have only four home games on their schedule, which means fans will need to hop on their chances to head to the Pine Bowl when they can. The season opener features Central College from Iowa, in that school's first trip to the Northwest. 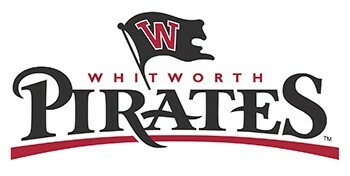 Flegel expects them to be as pleased with the environment at Whitworth as are other teams that come to the school.